Q. I’ve paid, but I’ve got a problem and I don’t have a validation code, what do I do? A. Unfortunately, without a validation code you cannot post your listing. What you need to do is click on ‘Go Back’ and post a free listing (if allowed). 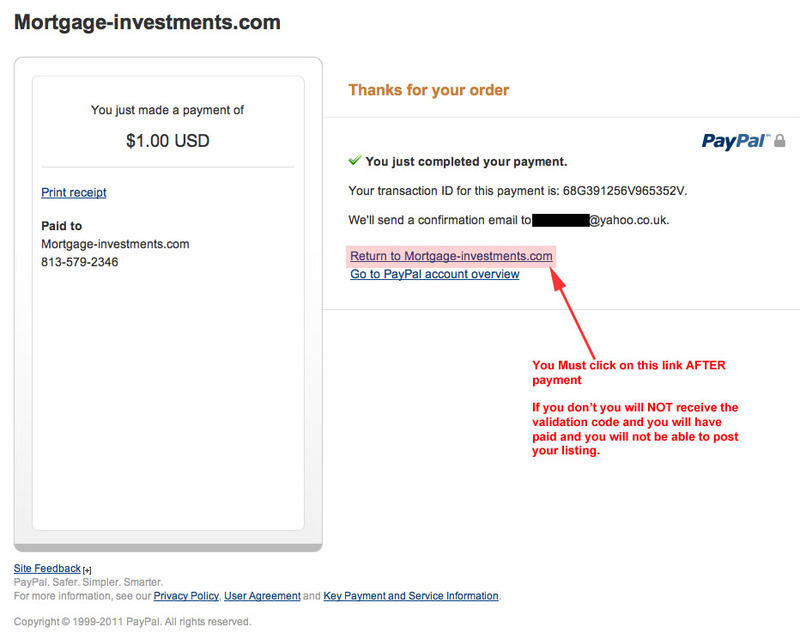 You then need to contact us and let us know your listing number and your payment email address from PayPal. Once we have confirmed your payment has been received, we will manually update your listing to a paid listing for priority and/or visibility options. Q. I’ve paid, but I cannot go back and post a free listing as it is for a category that doesn’t allow this. What do I do? A. Contact us and let us know your payment email address, so we can confirm your payment has been received, but you have not been able to post a listing. If you cannot go back and post a free listing, you need to let us know and we will refund your listing fee, so you can attempt to post it again. Unfortunately, you will need to cancel the listing you were trying to submit. We will offer you assistance if you provide us details of any other errors you received.